Let’s take a look at the week’s main matched betting action with this mid-December update. This week has seen some important Champions League and Europa League football. On all English Premier League and UEFA Champions League matches. Refund as cash on losing first goalscorer, correct score and half-time/full-time bets up to £100 per market on each match – if a penalty is awarded (English Premier League and UEFA Champions League). My strategy is to try a £50 stake. Unibet might offer me “bet £10 now, refer the other £40 for approval”. I’ll take £10 and see if the remainder gets accepted. Occasionally the whole stake is rejected – if it’s a good odds match like 4.10/4.50. Gabriel Jesus first goalscorer 4.40/4.90. Man City/Man City half-time/full-time 1.75/1.90. First goalscorers: Cristiano Ronaldo 3.5/4.00 and Mario Mandzukic 6.25/6.60. 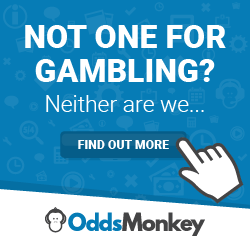 I am a regular visitor to the retail betting establishments to hoover up any value on offer. I placed £25 on Alvaro Morata first goalscorer at odds of 4/1 (5.00). The lay was 5.70 on Betfair. This bet qualified for Double delight/Hat-trick Heaven, and was a positive expected value (EV+) bet at 5.00/5.70, even if DDHH did not trigger. Also, every day until Christmas, spend £5+ over the counter in a Betfred shop – get a free scratchcard. I got a free £1 lotto bet. Other prizes include: £1 free bet on sports or free spins on gaming machines. Monday 10th December 2018 – Everton vs. Watford: Refund if a draw on losing first goalscorer, correct score, and half-time/full-time (the latter only with The Grid loyalty card). Qualifying bet: I backed Everton to win 2-1 at 15/2 (8.50) in Ladbrokes shop. The lay was 9.00 at Smarkets. Free bet refund: The match ended 2-2, so I put the £20 free bet refund on Liverpool to beat Napoli 1-0 at 10/1 (11.00). I laid £15 at odds of 11.00 on Smarkets. Liverpool did win 1-0, so that was £50 profit from the slight underlay. I backed £10 on Salah at 7/2 (4.5) in Paddy Power shop. I laid £8.50 at 5.00 on Smarkets for a £1 profit as Salah did net the first goal. Place a back bet (up to £10) on a horse at minimum odds of 4.00. Refund as cash if it trades at 1.99 or lower in-play and loses. Available on one selected meeting each day. Strategy: I’ve even backing £10 at Betfair exchange on a horse as close as possible to odds of 4.00, then laying £8.75 to £9.00 on the same horses in the “Win” market at Matchbook or Smarkets. Place a £10 (or £5 each-way) on the PDC World darts outright winner market, get a £10 free bet for PDC darts. Several players were a good odds match for the qualifier, I.e. Daryl Gurney at 33/1 (34.00) and 34.00 to lay. This weekend sees plenty of football and darts promotions. Bet365 2up – payout if your player goes 2 sets ahead. Unibet:. Up to £50 cash refund if your player loses the match but has the highest checkout. Betway: Bet 3 x £10 at 2.00+, get a £10 free bet the next day. Betfred online: Place 3 x £10 qualifier at Evens (2.00) or above, get a £10 the next day. Paddy Power: Free bet refund (up to £10) on losing first goalscorer, last goalscorer, anytime scorer and correct score bets if Liverpool beat Man Utd on Sunday 16th December 2018. Bet365 2up on major European leagues football.